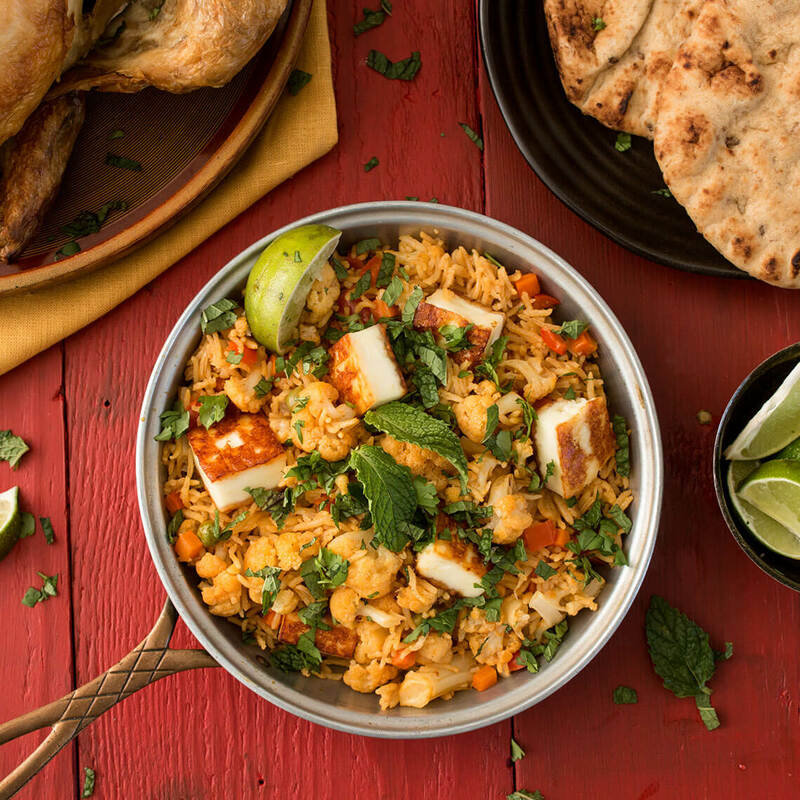 A quick take on a traditional biryani using our RoyalⓇ Authentic Adventures Indian-Style Basmati Rice will bring the flavors of India to your dinner table when you’re running short on time! In a large saucepan heat 1 tablespoon oil over medium. Add paneer and cook, turning, until browned. Transfer to a plate. Add 1 tablespoon oil to saucepan and stir in cauliflower, carrots, and bell pepper. Cook, stirring, until vegetables start to brown, about 8 minutes. Add rice, contents of seasoning packet, and 1¾ cups water to pan, bring to a boil, cover, and reduce heat to medium-low to simmer until rice and vegetables are tender, about 12 minutes. Remove from heat and let sit 3 minutes. Transfer rice to a serving dish, add paneer, and sprinkle with cilantro.